95% of the population will at one time or another worry about their breath. If you feel that every so often your breath can be a little stinky, don’t worry! There are a lot of situations that can induce bad breath. Waking Up – Waking up in the morning with bad breath generally happens because there is food leftover from the evening. In this case, it is best to make sure you thoroughly brush, floss and mouthwash before bed. After Eating – Many people experience halitosis after eating certain food. Onions, garlic and spicy foods tend to induce foul breath. An easy remedy for this is brushing after eating. 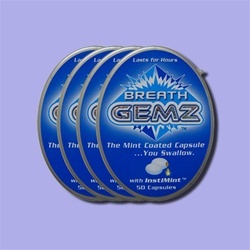 If you are out, a good alternative is BreathGemz Breath Pills. After Smoking – Smoking causes halitosis in the short and long term. In the short term, it will give you a smoky breath. Smoking also dries out your mouth, which causes bacteria growth. The tar, nicotine and chemicals create an unpleasant environment for your mouth. Quit smoking. If that’s not an option, you’ll have to work extra hard with brushing, flossing, mouthwash, breath mints, dentist visits, etc. Working Out – When working out, your body needs additional water to keep your cells hydrated. The dehydration causes dry mouth, which causes halitosis. An easy fix is to just drink plenty of water before, during and after your exercise. Sinus Infection – Perhaps you have frequent sinus infections or sinusitis. This leads to halitosis because the mucus is not circulating properly in the nasal cavity. We recommend using a nasal irrigation system and medium warm salt water or saline solution intended for nasal irrigation to relieve the problems of sinus issues. After a Night Out – Alcohol is another substance that really dries out your mouth. If you don’t get around to brushing your teeth and drinking some water before bed, your breath may be pretty stinky in the morning. What we recommend is just that: drink water, brush, floss and mouthwash before falling asleep. Long Periods of Not Talking – If you are working or relaxing and not talking too much, you may notice your breath worsen. This is likely due to the slowed saliva production. If this is the case, we recommend rinsing your breath or drinking some water. There are a number of cases where bad breath is chronic, and not situational. It can be related to a more serious, underlying issue. If you feel that your halitosis isn’t helped by some of these easy remedies, we recommend you consult a bad breath specialist. About the Author: Dr. Dailley is a practicing dentist who specializes in finding bad breath solutions. Operating a bad breath clinic in the bay area, Dr. Dailley can help you eliminate halitosis. He has a 99% success rate. His online store also has a variety of bad breath treatment kits that can have you feeling fresher and more confident fast. Xerostomia is a medical condition where an individual has intense dry mouth. This condition can come in a range of extremities and has a variety of causes. Xerostomia is not a disease or a syndrome. It is simply a situation of an individual not having enough saliva in their mouth. This condition is sometimes referred to as cottonmouth, drooth or pasties. This article outlines the basics of xerostomia to help you understand how to deal with the problem. Hyposalivation occurs when salivary glands simply do not produce sufficient saliva. This directly causes xerostomia. The reason for hyposalivation may be an underlying disease that reduces saliva production. This can include Sjögren's syndrome, Lambert-Eaton syndrome or even poorly controlled diabetes. Sometimes salivary production naturally wanes with aging. The body may also produce lower levels of saliva as a reaction to an induced drug or medication. Antihypertensives, antidepressants, analgesics, tranquilizers, diuretics and antihistamines tend to have dry mouth as a side effect. Chemotherapy can also cause dry mouth. There are a variety of xerostomia cases that are not caused by problems of the salivary glands and are not related to hyposalivation. Think about the last time you had work done on your teeth and you had to have your mouth open for an extended period. When the work was done, you probably had dry mouth. This is exactly what happens when individuals excessively breathe through their mouth. If you wake up with dry mouth, it’s likely the result of sleeping with your mouth open. Other people have temporary or situational dry mouth. Perhaps they experience xerostomia when they are unusually nervous or stressed. Dehydration can lead to dry mouth and both alcohol and smoking can worsen dry mouth as well. What are the Risks of Xerostomia? Xerostomia can make chewing and talking difficult. As saliva helps keep your enamel in great shape, a shortage of saliva can lead to tooth decay and cavities. Xerostomia is also a huge contributor to halitosis, or bad breath. How do I get rid of Xerostomia? There are a few simple things you can do to reduce your dry mouth and the effects you are suffering from. You should try to drink plenty of water. 8 or more glasses of water is the recommended level. Stay away from alcohol and tobacco products. If your dry mouth is very serious and requires further treatment, we recommend using products for dry mouth. If you feel your xerostomia is being induced by medications, speak with your doctor about possible alternatives. About the Author: Dr. Dailley specializes in finding bad breath solutions for people with halitosis. Dr. Dailley has a degree in Cell & Molecular Biology from San Francisco State University and a dental degree from the University of the Pacific School of Dentistry. Dr. Dailley runs a halitosis clinic in the bay area and can help you get rid of bad breath. About the Author: Dr. Anthony Dailley is a practicing dentist in the Bay Area. Earning a degree in Cell & Molecular Biology from San Francisco State University as well as a Dental Degree from the University of the Pacific School of Dentistry, Dr. Dailley specializes in curing bad breath. He has a 99% success rate with his patients and also sells products to get rid of bad breath as well as products for dry mouth. Many first time mothers-to-be are surprised when they experience bad breath or unpleasant tastes in their mouth. While there can be deeper issues at stake, many times pregnancy-induced halitosis is a common issue that upon additional care, can be resolved. Why do Pregnant Women Experience Bad Breath? Pregnancy, particularly in the first trimester, is a period of rapid changes in estrogen and progesterone levels. One consequence of these fluctuations is additional plaque in teeth. This plaque contains bacteria, which leads to halitosis and possibly gum disease. Women tend to be more than willing to eat for two, but when it comes to drinking, sometimes adequate levels don’t get met. When supporting a growing fetus, women should drink more water to support the systems that are hard at work in their body. A lack of hydration causes dry mouth, or xerostomia. This is a huge culprit in bad breath, and if this is the cause of your halitosis, a simple remedy is to drink more water. Similar to the need for additional water, a pregnant woman needs additional amounts of calcium to support her body and the body of the fetus. When proper calcium levels are not met, calcium from the bones or teeth will be used. The deterioration of the teeth in this way causes bad breath. Morning sickness is experienced by more than half of pregnant women and generally occurs from the 6th-12th week of pregnancy. Morning sickness generally involves feelings of nausea and vomiting. Needless to say, this can be a huge source of bad breath. The mix of stomach acids and partially digested goods creates a smell that is unpleasant for the person as well as people they may come in contact with. Upon vomiting from morning sickness or another cause, it is wise to brush your teeth and rinse your mouth. This will help remove bacteria and create more pleasant breath. Being pregnant may also change your daily routines and natural tendencies. For one, sugary snacks or late night cravings can lead to plaque build-up. During pregnancy it is more important than ever to take care of your mouth and practice superior oral care. You should continue visiting the dentist every six months. What are Some Remedies for Pregnancy-Induced Halitosis? Many women would happily sacrifice a few months of bad breath for the safety of their developing baby. As it is generally wise for expecting mothers to stay away from antibiotics, many women feel helpless. Fortunately there are a number of household remedies and home treatments for pregnant women. About the Author: Dr. Anthony Dailley is a specialist in curing bad breath and helping patients who suffer from moderate to severe halitosis. Dr. Dailley has a degree in Cell & Molecular Biology from San Francisco State University and a dental degree from the University of the Pacific School of Dentistry. 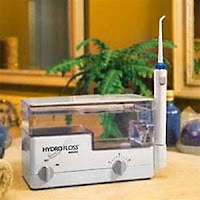 Among various halitosis treatment kits that The Center or Breath Treatment offers, in-patient visits are also welcome. 90% of halitosis cases deal with problems related either directly or indirectly to the tongue. This makes sense as this is the first site for incoming, undigested down foods. Under certain conditions such as oral neglect, the tongue can be a breeding grown for bacterial growth. 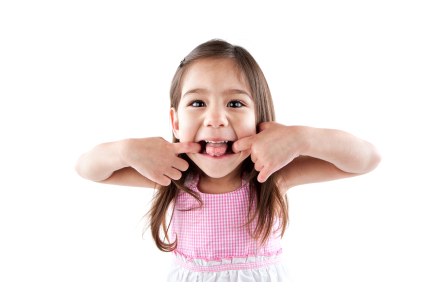 Problems of the tongue aren’t always attributed to poor oral health. Sometimes it can be a reaction to antibiotics, a sign of a more serious medical condition, or problems with the actual tongue anatomy. The good thing is, many times your tongue will tell you what is going on in your mouth. In a healthy state, your tongue will be a pink color. On the surface there are small nodules called papillae. Oral Thrush: Oral thrush is a yeast infection of the mouth. This occurs when there is an overgrowth of candida (yeast) in the mouth. The overgrowth results in white patches on the surface of the tongue. It is most commonly found in infants and the elderly, particularly denture users. Generally, anti-fungal drugs can be used to combat oral thrush. An HIV infection or AIDS may cause oral thrush. Leukoplakia: Leukoplakia occurs when there is an overgrowth of cells in the mouth that form white patches on the tongue, gum, and sides of mouth. These patches cannot be easily scraped off and are generally caused by use of tobacco products. Sometimes leukoplakia can be a precursor to cancer. If you feel your case may be cancerous, it is advisable to seek a doctor and have a biopsy performed. Oral Lichen Planus: If you have a network of white hairs that have a lace-like appearance in your mouth, you may have oral lichen planus. This condition may create a burning or painful sensation. This condition is most commonly found in middle-aged women. It may create painful lesions that can be treated. In certain cases, the tongue will turn a bright red color. This is known as a strawberry tongue. Scarlet Fever: Scarlet Fever is a clinically diagnosed disease that causes sore throat, fever and a bright red tongue. It is very similar to strep throat and can be cured with antibiotics. Scarlet fever can be fatal if medical treatment is now sought. Kawasaki Disease: This is an autoimmune disease that affects children under 5. The exact cause is unknown, but when it is discovered, the child should be hospitalized and treated immediately. Hairy tongue is what occurs when the papillae of the tongue become overgrown and result in a hair-like appearance. As the papillae grow, the tongue becomes a breeding ground for bacteria. This can occur in people with poor hygiene, but may also be the result of taking antibiotics or chemotherapy. Hairy tongues are also more common in people with diabetes. Sometimes people can have hairy tongue syndrome without any type of pathology at all. As any breath health specialist will tell you, proper oral care and lifestyle can keep your tongue as healthy as possible. For extra special oral care, you can use a HydroFloss Oral Irrigator. For extreme halitosis cases come visit us at the Center for Bad Breath Treatment. 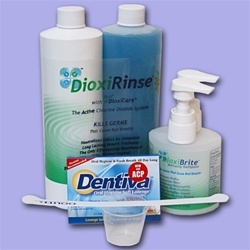 If you can't make it to our clinic office you can try some of our halitosis treatment kits. About the Author: Dr. Anthony Dailley conducts research pertaining to halitosis bad breath treatments. He has a degree in Cell & Molecular Biology from San Francisco State University and a dental degree from the University of the Pacific School of Dentistry. He offers many products such as Breath Gemz and teeth whitening pens to keep you looking your best. About the Author: Dr. Anthony Dailley has been practicing dentistry since 1981. In addition to helping patients find a cure for bad breath, he conducts research pertaining to bad breath solutions and treatments at the California Pacific Lab. He founded the Center for Breath Treatment as well as NovaBay Pharmaceutical, a publicly held biopharmaceutical company. Visit Dr. Dailley, the bad breath dentist with a 99% success rate.